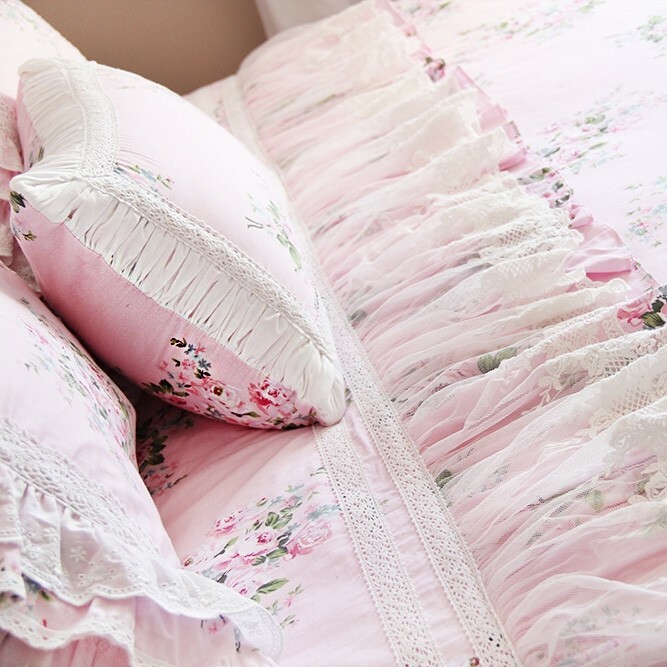 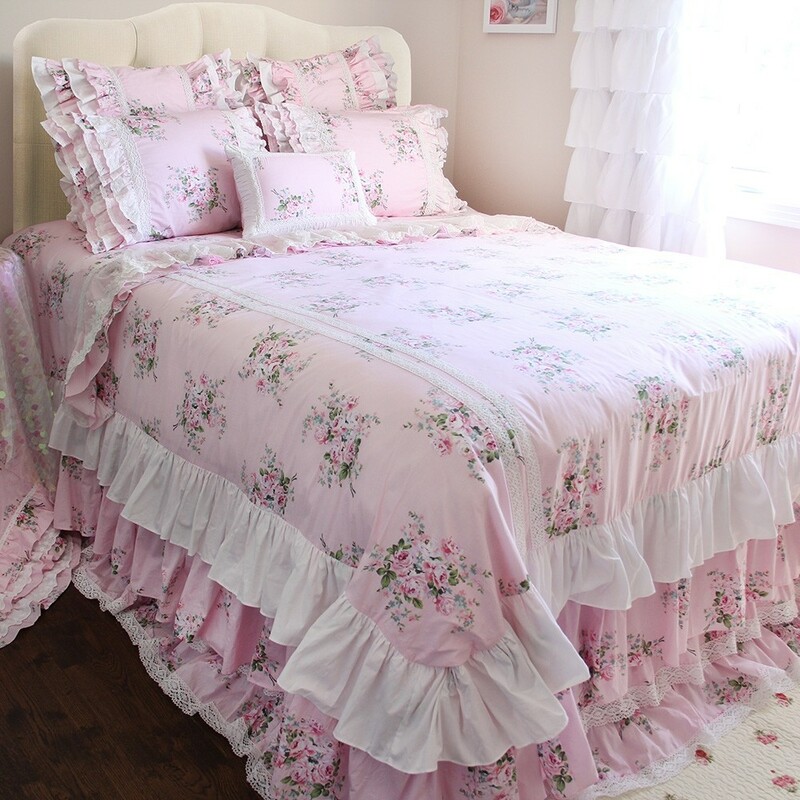 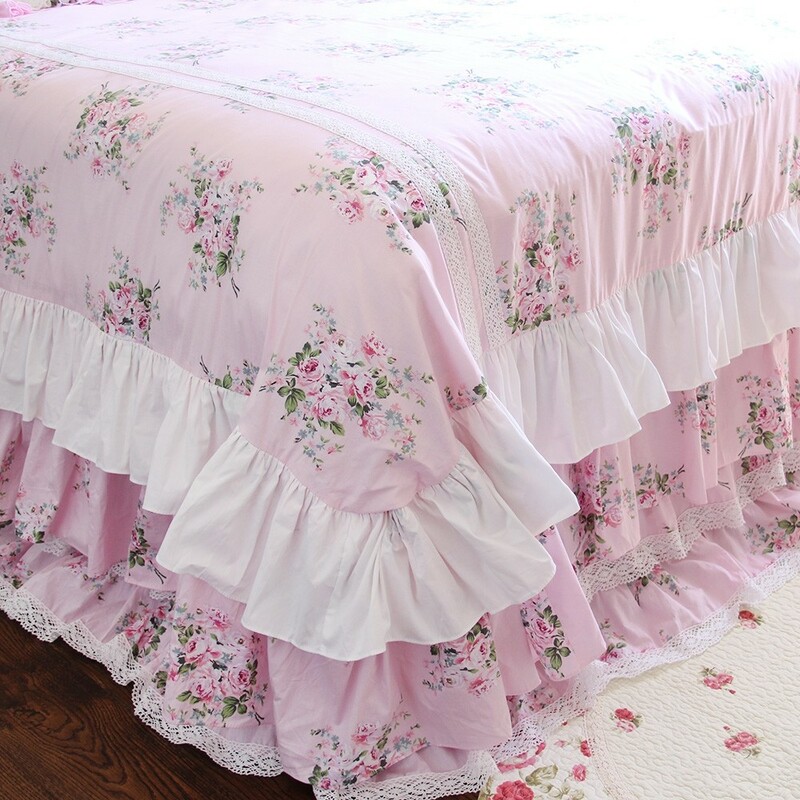 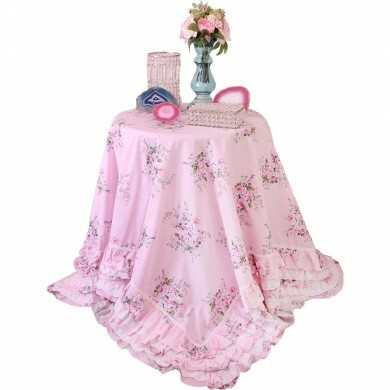 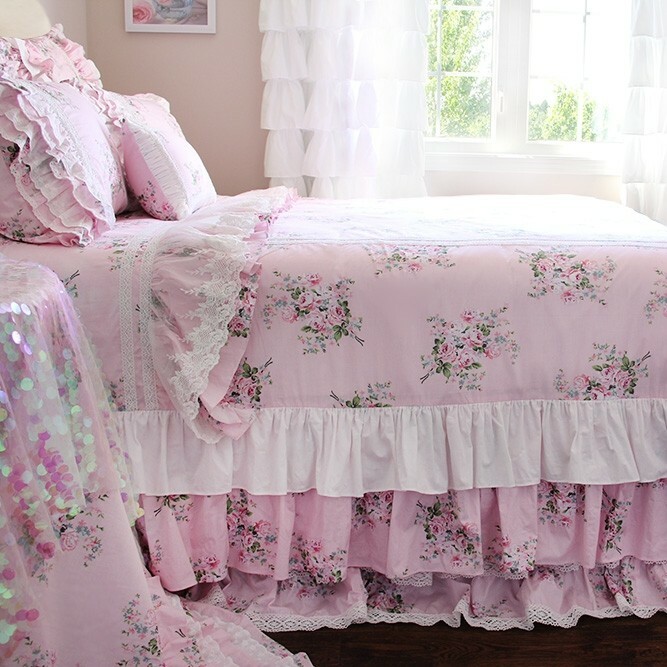 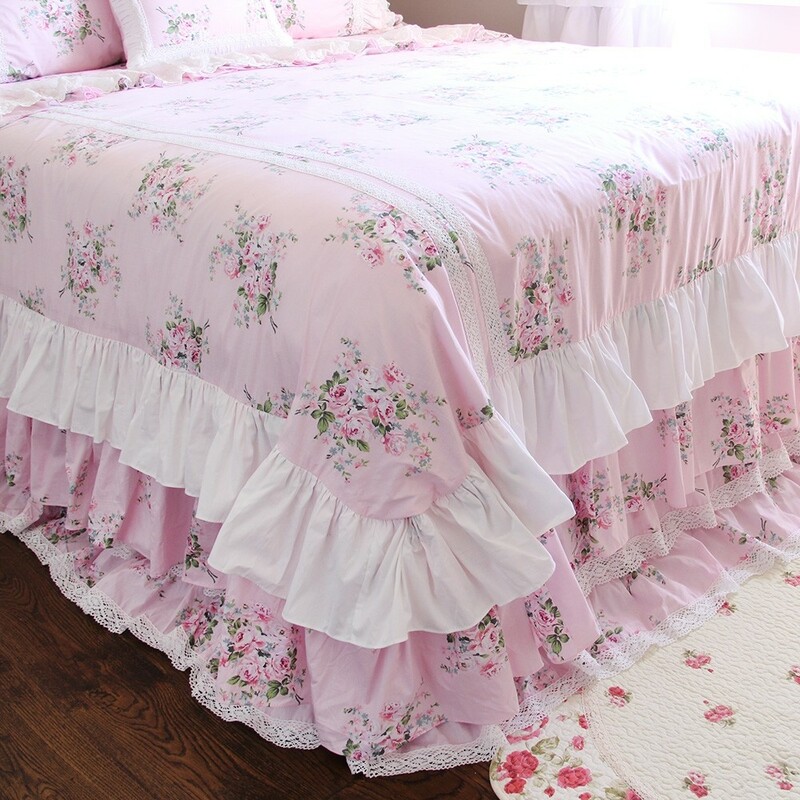 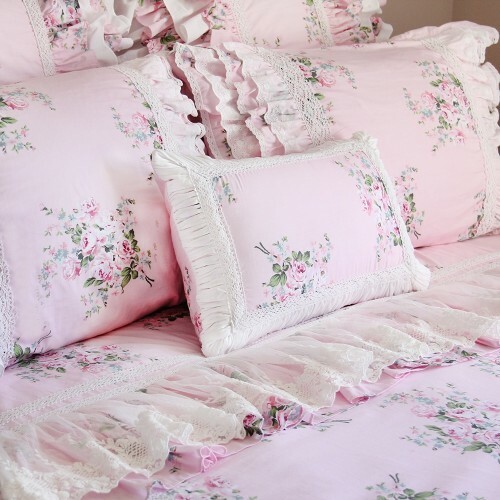 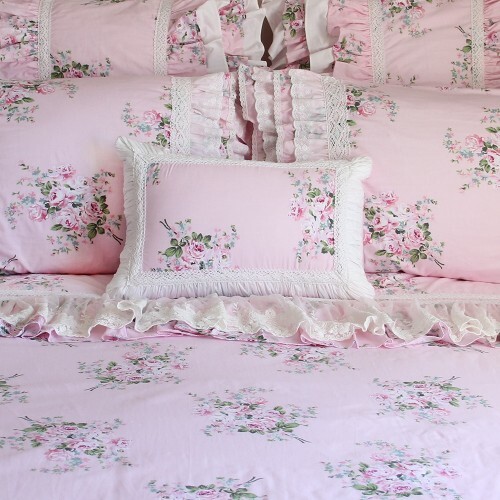 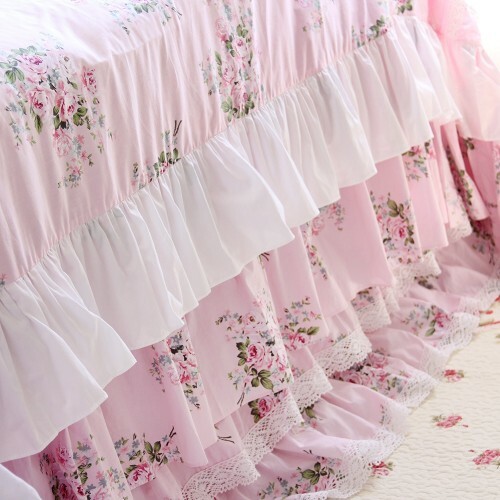 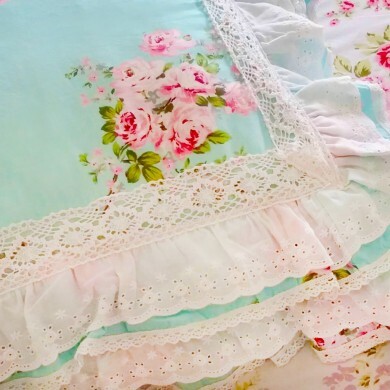 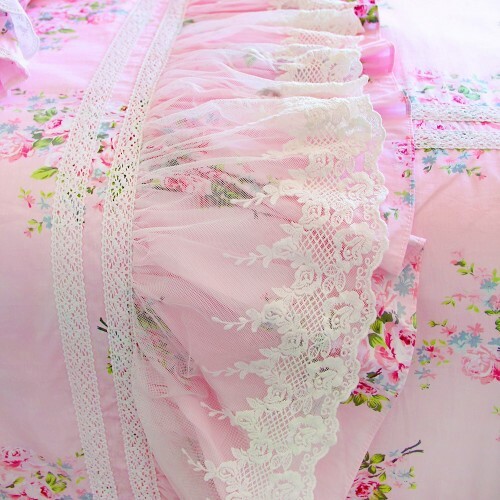 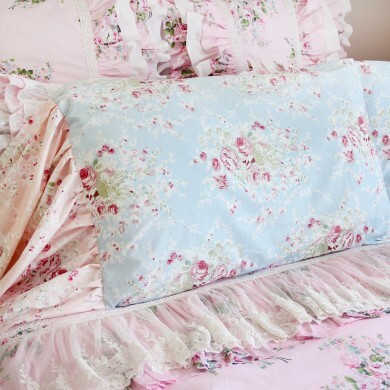 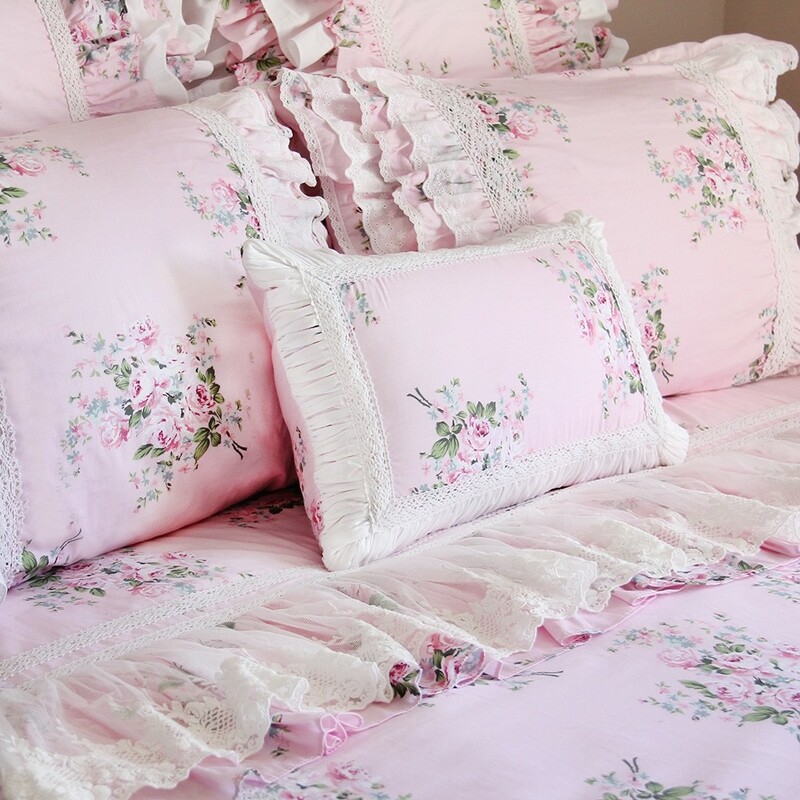 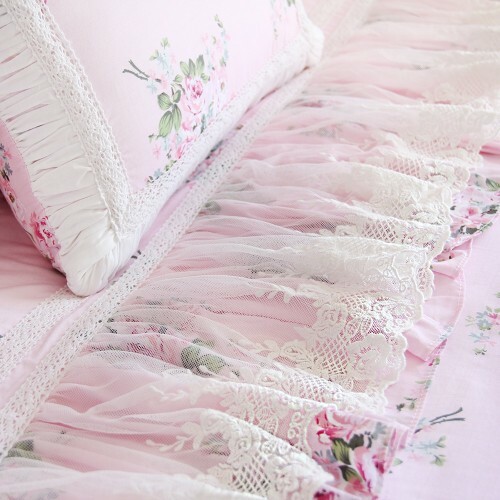 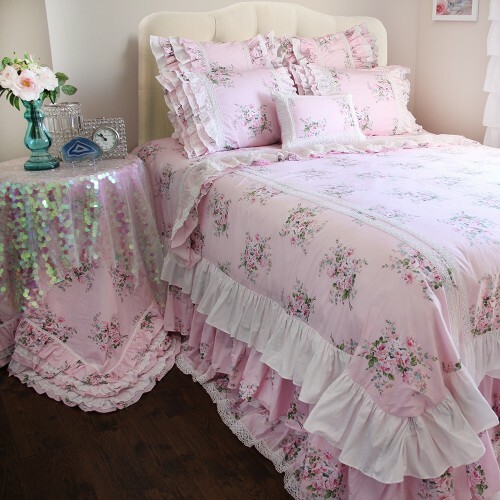 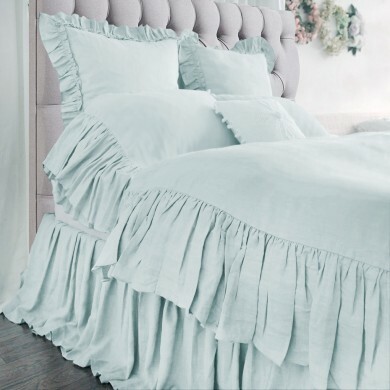 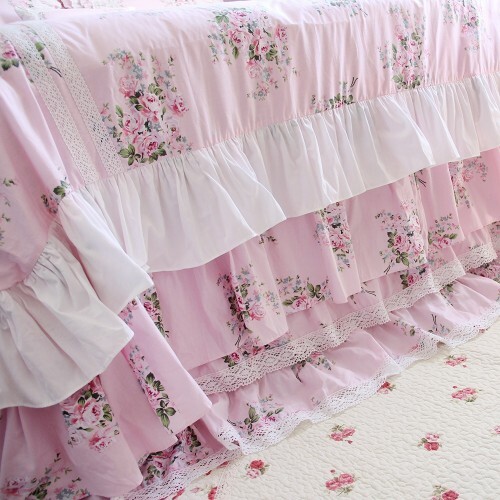 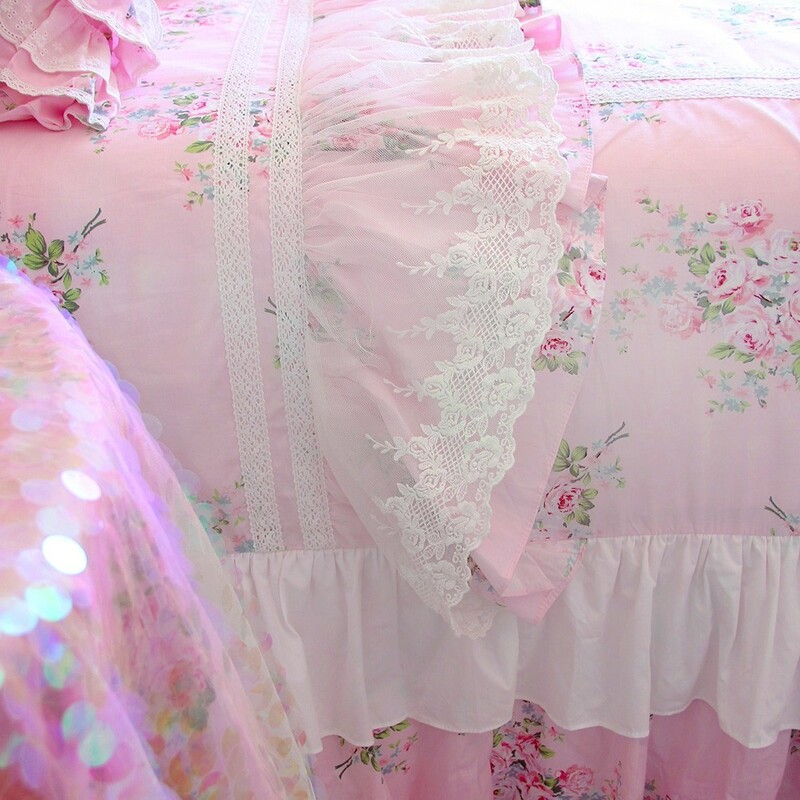 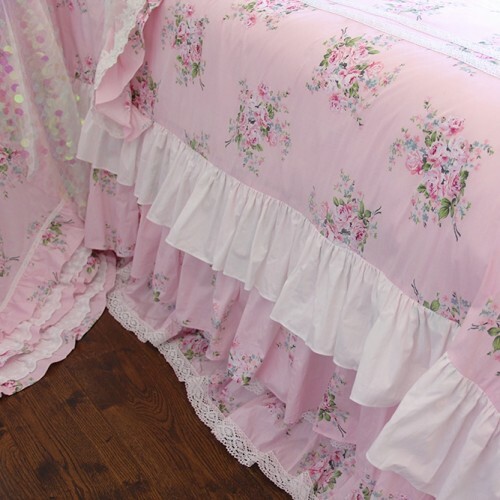 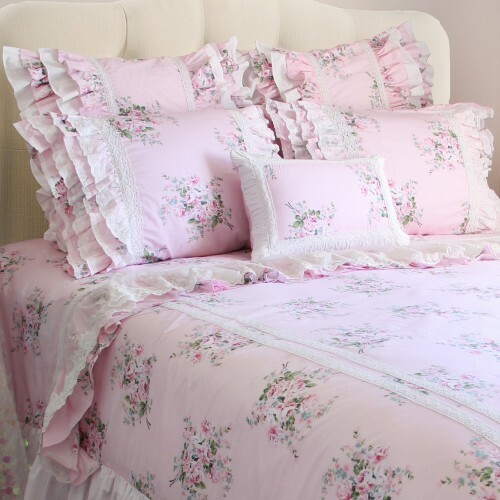 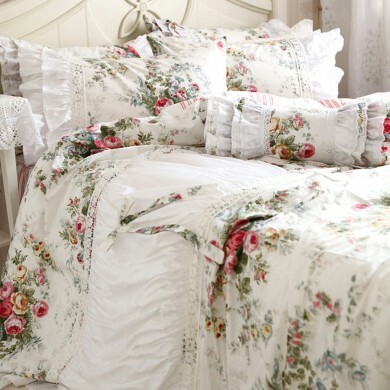 The duvet cover has mermaid long ruffled hems on 3 sides. 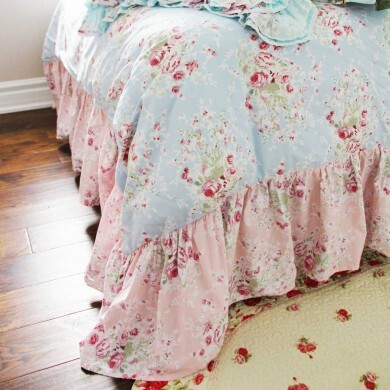 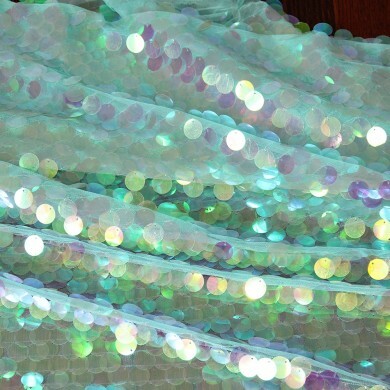 The mermaid long ruffled hems are doubled layers. 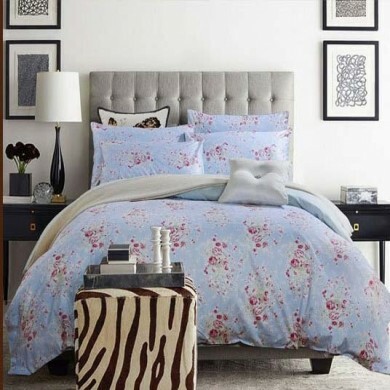 If you have a tall bed and would like the duvet cover to hang longer on the sides and cover your mattress, this duvet cover is the best choice. 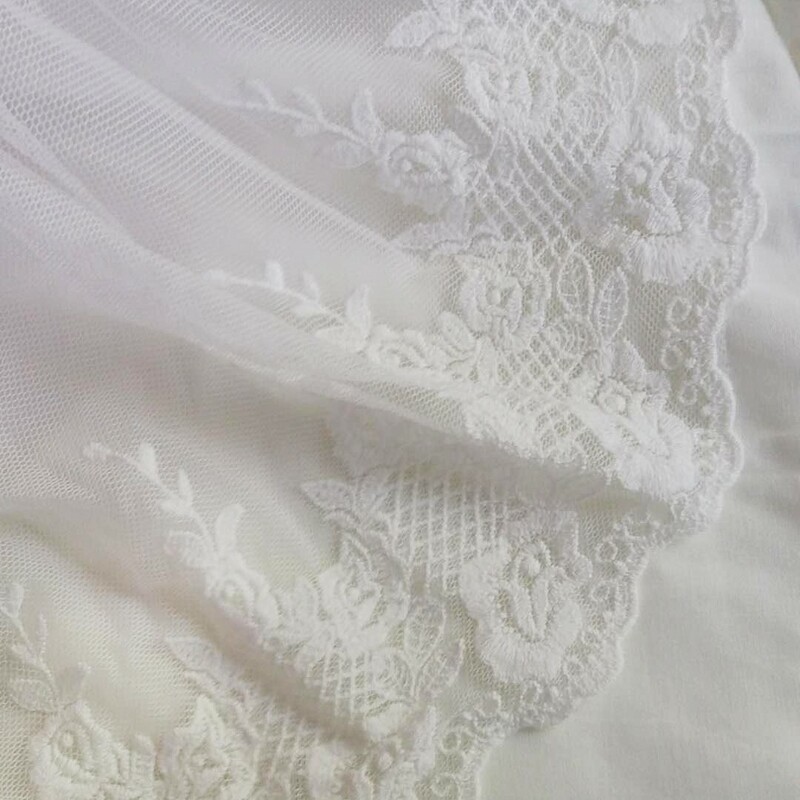 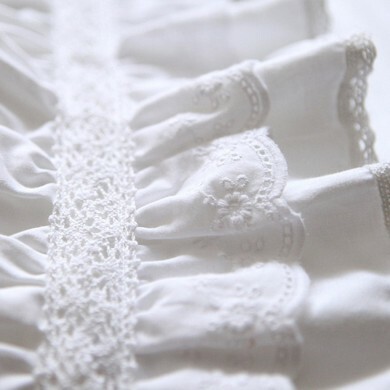 The luxury wide embroidery lace is ivory white. The cotton lace is white. 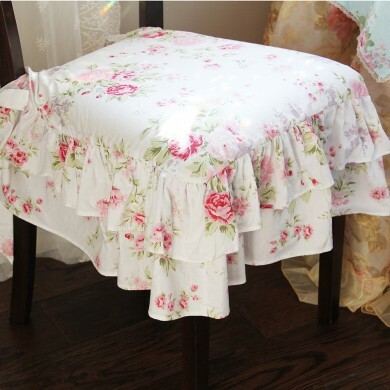 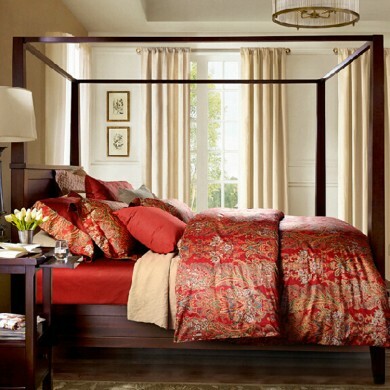 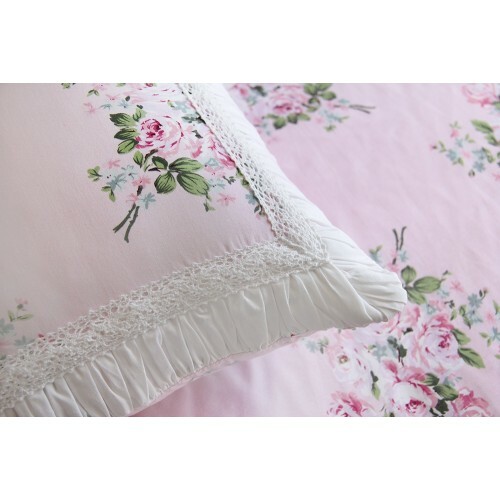 When you select the euro sham option, you will receive two euro shams 26" x 26". 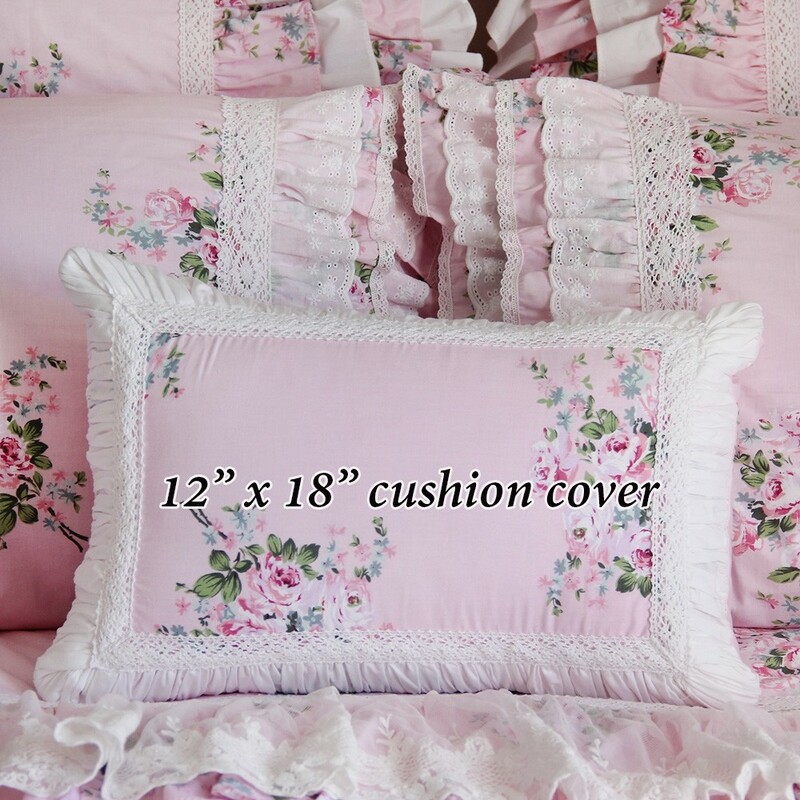 When you select the 12" x 18" cushion cover option, you will receive one decorative cushion cover 12" x 18". It has beautiful hand-ruched border on the front side. Ivory version is available upon request. 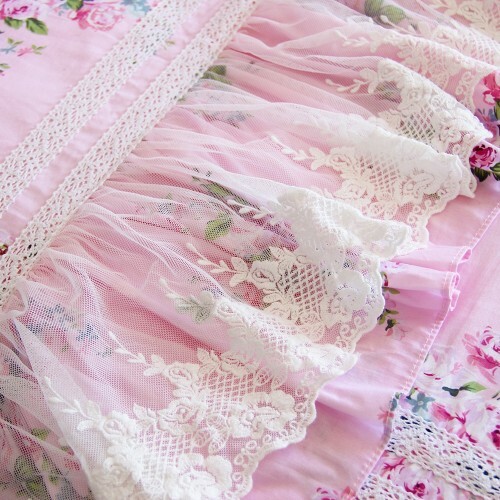 I absolutely love this!!! 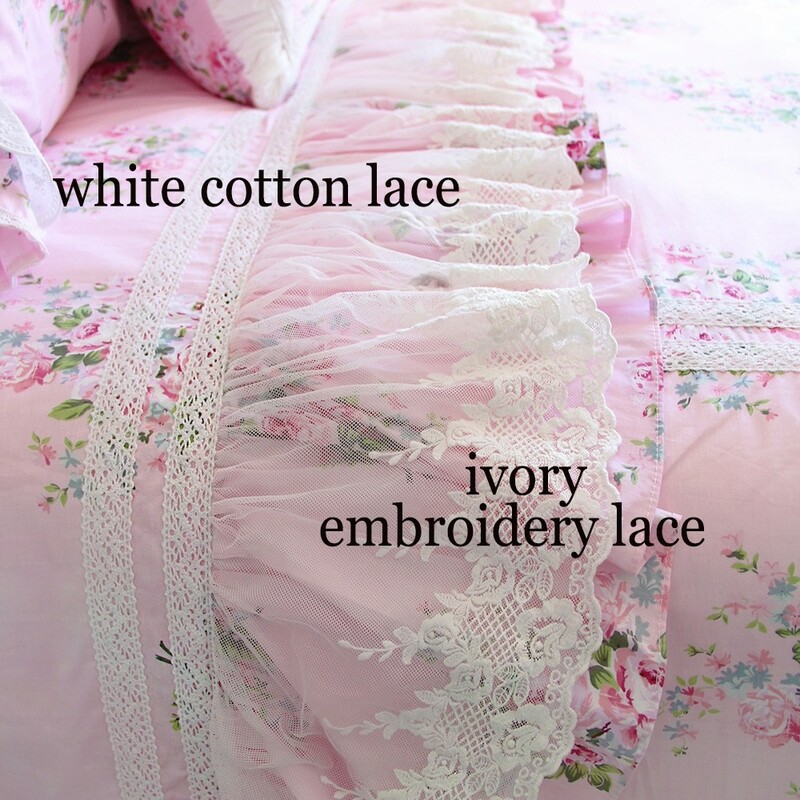 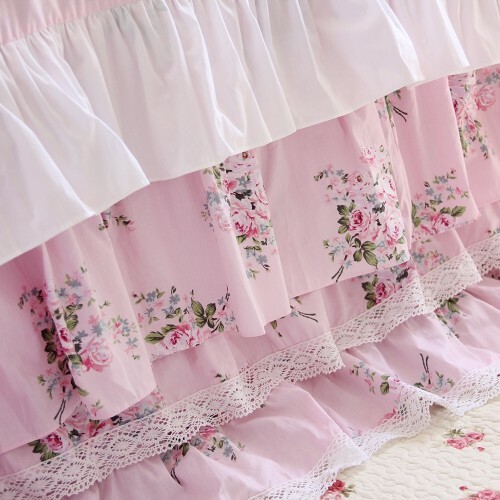 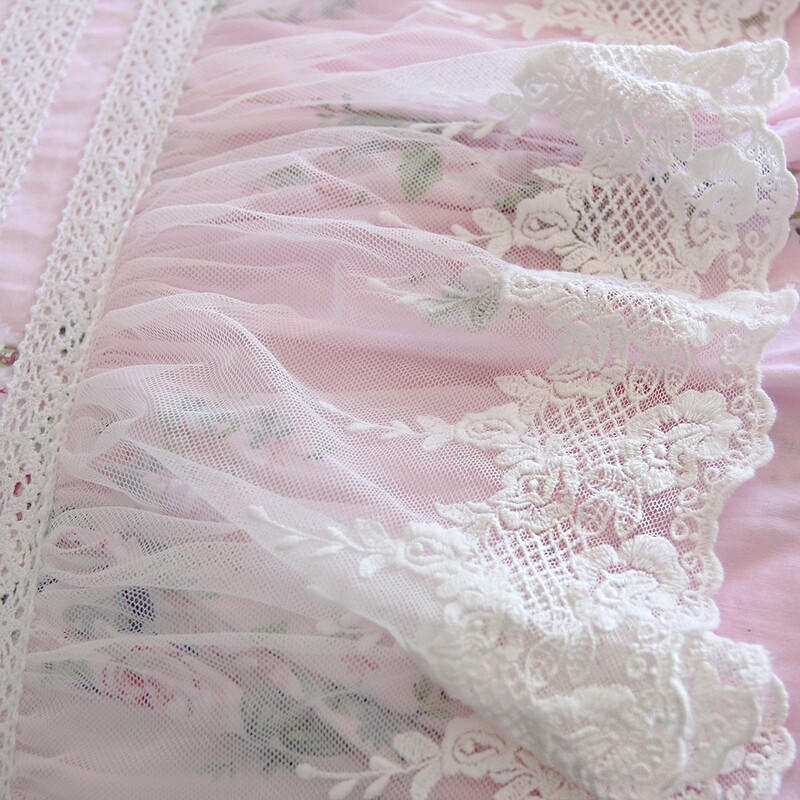 The sewing is perfection and fabric and lace are gorgeous....plus seems like high-end fabrics. 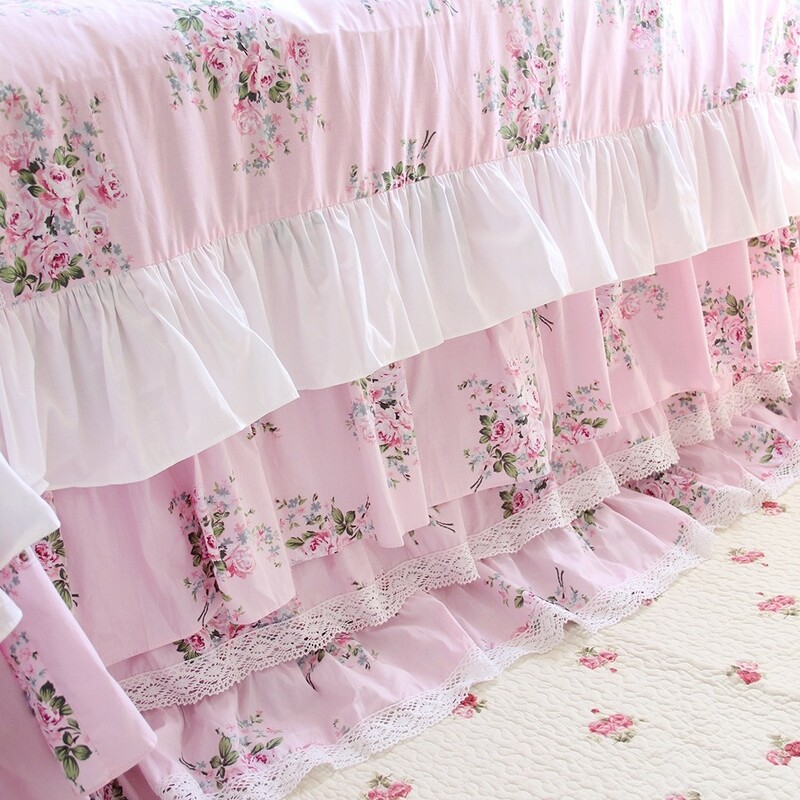 Really appreciate the work that went into this. 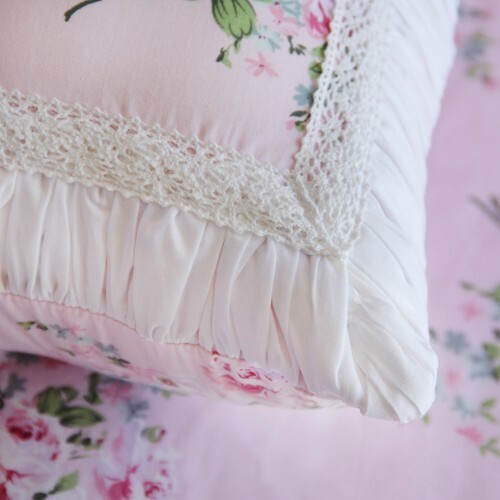 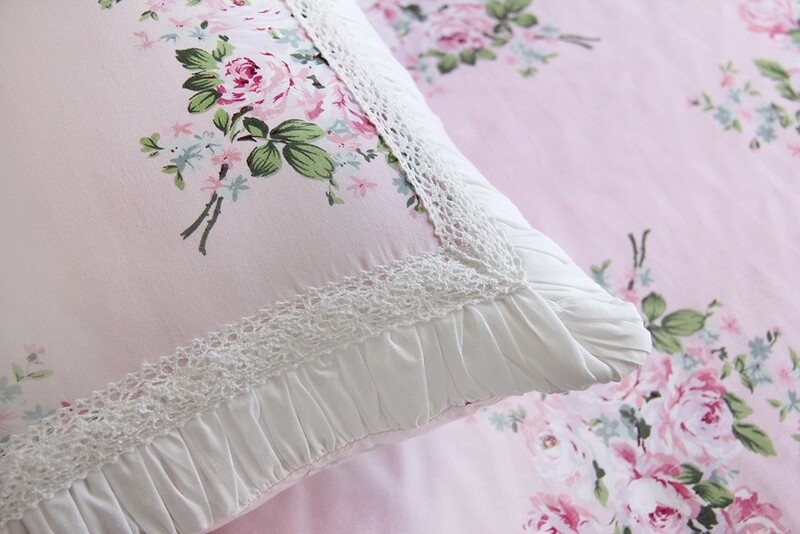 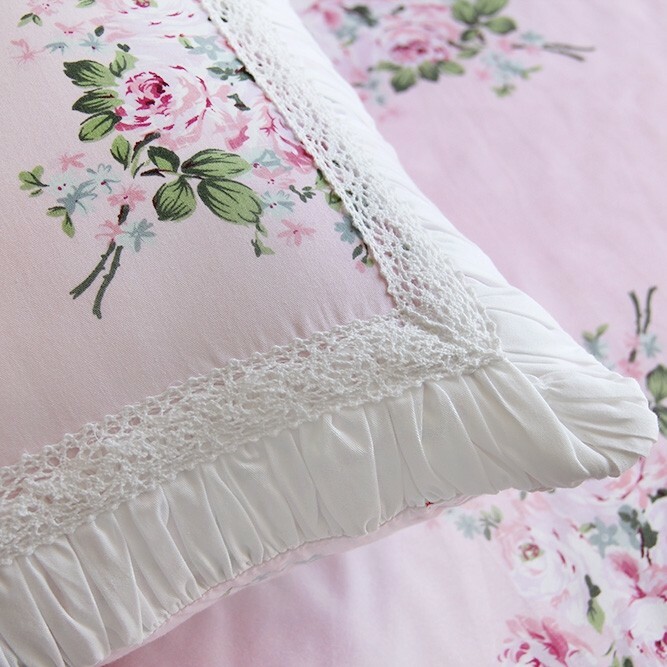 Love the pillow shams, too! 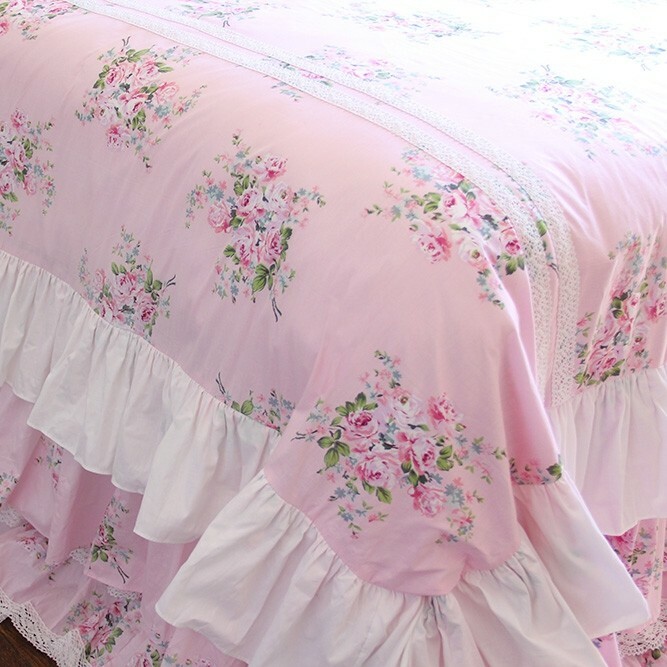 Everything is beautifully made and just as gorgeous as the pictures show if not more! 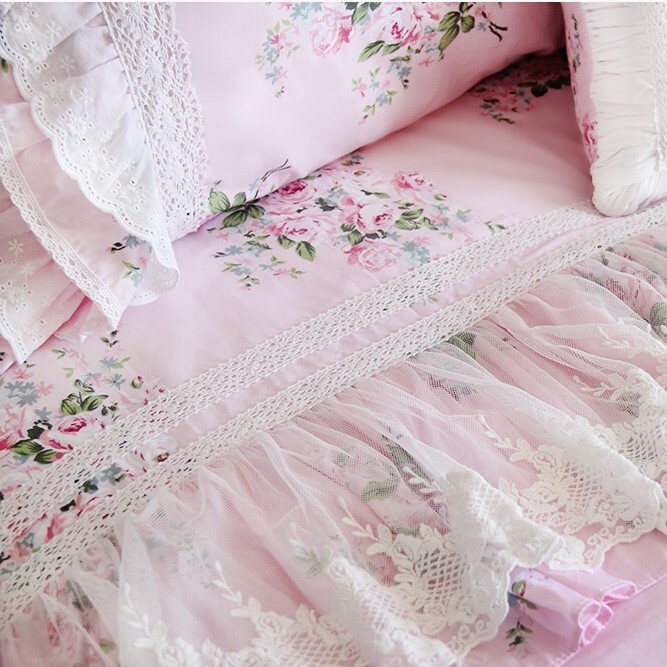 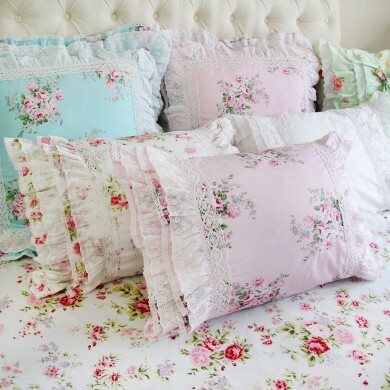 I will for sure be purchasing more pillow covers to make sure my whole bed is full of the gorgeous pillow cases they make! Thank you so much! !